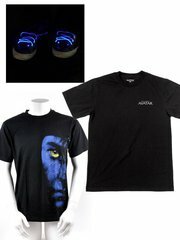 20th Century Fox is giving away a FREE Avatar limited edition shirt and glow in the dark shoe laces to 10 lucky winners in their Facebook contest. Read the mechanics as posted in the 20th Century Fox FB page and get a chance to win the loot. 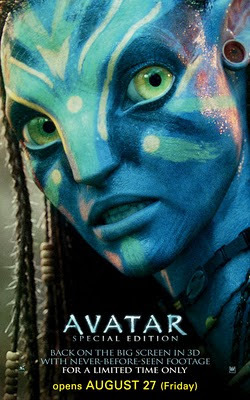 Make the AVATAR Poster Art below your profile picture in Facebook. On the Fan page wall, write your favorite scene in the movie Avatar. No spamming please. One entry is enough. Please include your email address in your wall post. Ten (10) wall posts from August 23 - 31 (with the Avatar profile picture) will be chosen randomly on the 1st of September. Winners will be advised by email. Names will also be posted here in the fan page. Winners may claim their prize at Warner Bros Office in Ortigas Center, Pasig City during office hours. Complete details will be sent via email.